If you are wondering how you can use social networks for grassroots advocacy, this free two-part webinar is for you! This webinar will offer an overview of strategic campaign planning, communications, and social media best practices with particular attention to issues affecting refugees. Join us to find out how to raise awareness, mobilize communities, build sustainable relationships, strenghten networks and encourage concrete actions by using social media and content creation tools. 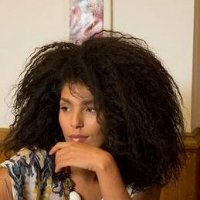 Jihane El Atifi is an activist and communications professional, with a focus on diversity, gender advocacy, social justice, human rights and community development. Her professional objectives seek to exploit digital and traditional media to educate, raise awareness, jump-start debates and encourage collaboration. This webinar is free-of-charge for anyone who would like to attend.